United Nations: US Ambassador to the United Nations Nikki Haley on Thursday called on countries to suspend providing weapons to Myanmar over violence against Rohingya Muslims until the military puts sufficient accountability measures in place. It was the first time the United States called for punishment of military leaders behind the repression, but stopped short of threatening to reimpose US sanctions which were suspended under the Obama administration. 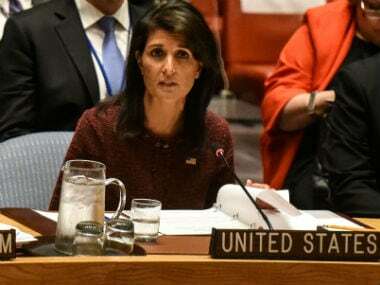 “We cannot be afraid to call the actions of the Burmese authorities what they appear to be - a brutal, sustained campaign to cleanse the country of an ethnic minority,” Haley told the UN Security Council, the first time Washington has echoed the UN’s accusation that the displacement of hundreds of thousands of people in Rakhine State was ethnic cleansing. 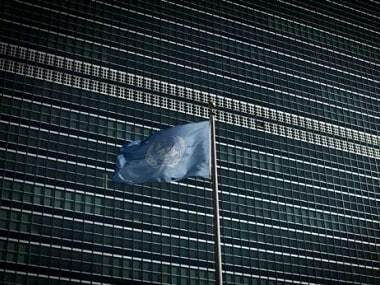 Myanmar national security adviser Thaung Tun said at the United Nations on Thursday there was no ethnic cleansing or genocide happening in Myanmar. He told the Security Council that Myanmar had invited UN Secretary General Antonio Guterres to visit. A UN official said Guterres would consider visiting Myanmar under the right conditions. US senators urge Trump administration to act on Myanmar Rohingya. 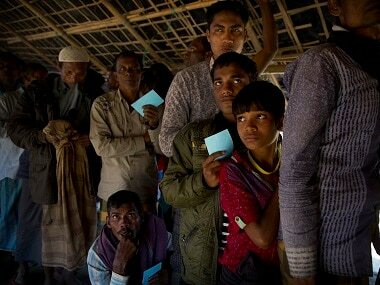 Aid groups said on Thursday the total number of refugees in Bangladesh was now 502,000. The Myanmar government has stopped international aid groups and UN agencies from carrying out most of their work in the north of Rakhine state, citing insecurity since the Aug. 25 insurgent attacks. Aid groups dismissed the accusations, which they said had inflamed anger towards them among Buddhists in the communally divided state, and called for an end to “misinformation and unfounded accusations”. The UN International Organization for Migration later put the toll at 15. Myanmar authorities do not recognise Rohingya as an indigenous ethnic group, instead regarding them as illegal immigrants from Bangladesh.